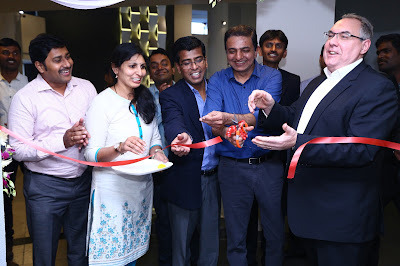 RS Components, the world’s largest distributor of electronics and maintenance products today announced the opening of their innovation hub, a new ‘Electronic Centre’ in Bangalore. The high service level supplier of electronic components and tools plans to invest close to $ 15 million over the next two to five years at the Bangalore centre. The new 2000 Sq feet office in the heart of Bangalore has been set up to support electronic design engineers and manufacturers in the region. The compay also plans to set up a warehouse which will enable RS Components to undertake “next day delivery” to its customers. 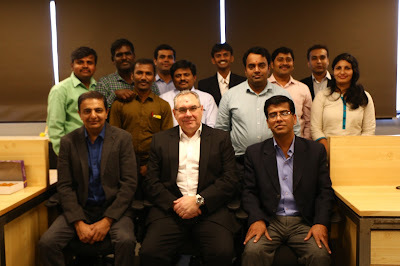 The Bangalore Centre will have technical marketing and support teams, specialized sales force that will focus on specific industry verticals like IoT, Medical Electronics, Aeronautics, Automotive and RnD sector. The team at the Bangalore office will also be actively involved in building up the design engineering community through DesignSpark.com. DesignSpark provides its community of over five lakh engineers with free access to design tools like DesignSparkPCB, DesignSparkMechanical and DesignSparkElectrical. With e-commerce at the heart of its business strategy, RS India has one of the most advanced transactional website offering benefits like parametric search and around 5000 new product introductions every month. “We offer the broadest range of semis, passives, electro mechanical components, test and measurement equipment and quintessential tools to support every design engineers’ job. We are committed to provide value add solutions to electronic design engineers at every stage of design life cycle from concept to pre-production,” concludes Bhambri.